All roles are not created equal. Some generate more intellectual capital than others. A CFO crossed over. He became head of talent acquisition for one of the most recognized brands in the world. From the outside, it seemed a controversial move. But it inspired something that’s never happened before. Using financials to connect the return on talent investments. Building an algorithm to calculate the value of intellectual capital in business. Years, many discussions, and applications later, it’s come to life. This consultancy was born. All people are important. All roles are important, or they wouldn’t exist. But let’s face it. All roles are not equal. All roles don’t generate the same value to the business. Think about it . . . The designer in an apparel firm, the scientist in a pharmaceutical company, the wealth manager in a financial services firm, the animator at an entertainment business, the quarterback of an NFL team. These roles generate a lion’s share of value for their organizations. So why would we treat them equally in our talent strategy? Our knowledge economy demands that we identify these critical roles and then knock the way we attract, select and keep them out of the ball park. 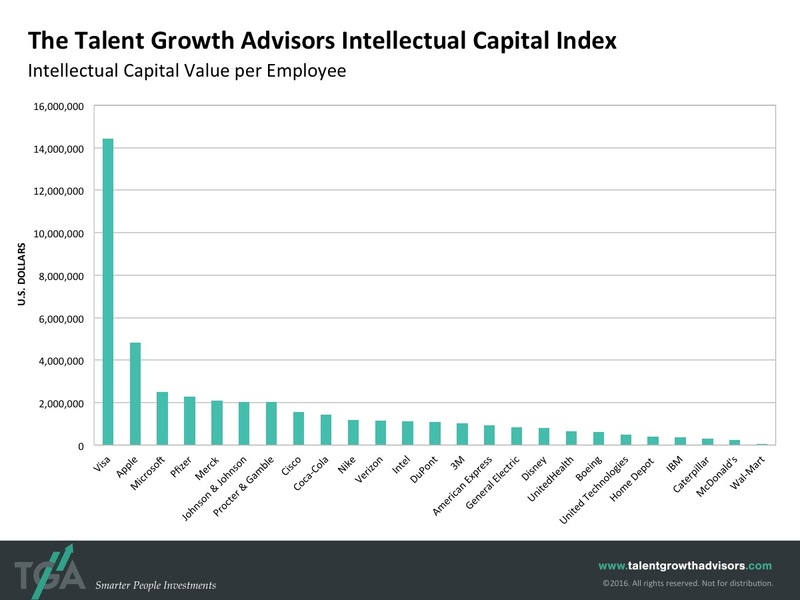 Because the most valuable asset in the world is intellectual capital. And it’s powered by nothing other than people. But not all people. Only some. In some roles. Brands, data, relationships, inventions, patents, know-how. You can’t find it on your balance sheet but it represents more value in more companies than any other asset. This is the big idea. Since the 1980s, whether in Finance, Marketing, or HR roles, Tom has always thought way beyond the curve—and delivered results. He collects and connects dots from all his experiences habitually. In this pioneering exposition on the value of talent, he connects them all. 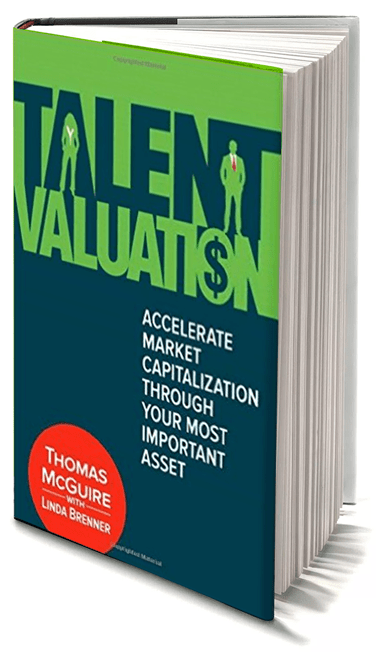 Tom draws on his unique background spanning senior roles in operations, finance, and human resources to deliver a thoughtful and comprehensive solution to talent valuation. It stands alone in this space, because he truly understands key value drivers. 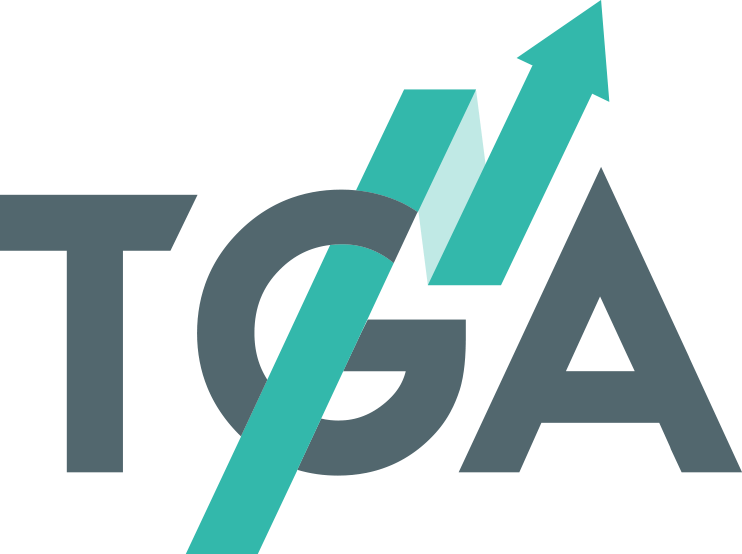 It’s time to stop treating “human capital” as a buzzword and start managing it with the same level of rigor and diligence as tangible capital. This can be done. It must be done. Talent Valuation will show you how.